Last night I finally finished watching "The Night Shift" on BBC iPlayer. Although I was aware that there was an Icelandic (black) comedy series running on BBC4, I hadn't made any attempt to watch this and it was only thanks to the always wonderful Rachel that I discovered a rare gem. Næturvaktin (The Night Shift) was not so well received by British media critics, but has gained a small but very devoted fan following. It is not a conventional comedy series in any sense - no irritating laughter track for example, and documentary-style camera work - in the beginning I thought it owed a lot to the brilliant "Flight of the Conchords" with Georg as a more extreme version of band manager Murray, who never takes responsibility for the consequences of his actions. (Some critics also compared the show to "The Office" although I can't comment on that one, as my extreme aversion to Ricky Gervais means that I've never been able to sit through more than one episode of that particular show). Of course every great comedy series needs its catchphrases and this one's no different - Georg's "personnel on the forecourt!" and "it was just a misunderstanding" may not sound obviously funny but you have to watch it to understand. Georg is a classic, grotesque, memorable character and this is one of the best TV series I've seen in years. Now all they need to do is release the DVD over here, failing that I'll just have to do what everyone else has done and buy it on import! Whilst the two competing Allsång shows get all the attention in the Swedish media, there's one more Swedish summer TV show which is a must-see event for me, if only for its weekly musical guests. Like the other two shows, it's an open-air event (this time from Stora Scenen at Gröna Lund in Stockholm) so let's hope the rain stays away and the sun shines this summer in Sweden! 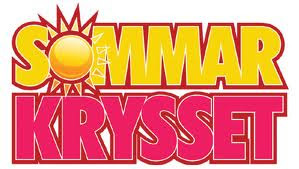 "Sommarkrysset" (TV4) boasts a pretty impressive line-up of guests for its summer 2011 run which starts next Saturday night. Here's what we can look forward to in the coming weeks. With Simon Cowell's TV talent show formats taking over the world, it's nice to see a talent show format, born on the European continent, going international which doesn't have Mr Cowell's fingerprints on it. No, in this case it's the other king of international TV formats - John De Mol - who is responsible for "The Voice", which started off life as "The Voice Of Holland" and is now spreading across the globe. The first Dutch series was won by British-born soul singer Ben Saunders. The unique selling point of this show is that auditionees are judged purely on their voices alone, which is a nice change from the image-conscious Idol/Talent/X Factor franchises. The show is currently running in the USA and has been successful enough to return next year for a second season. What particularly impresses me about the show is the involvement of the coaches, which is bringing back nice memories of Star Academy/Fame Academy - and they also have a bit of singing to do every week. The other notable thing is that the coaches are all pretty credible/talented performers - the USA show has Christina Aguilera, Cee-Lo Green and Adam Levine, for example - and the forthcoming Australian version also has the mouthwatering prospect of Tina Arena, Darren Hayes, Delta Goodrem and Shannon Noll. So, basically, talented singers are "in" - please bear that in mind BBC, rather than going for the easy option of, say, a pretty girl who is better known for her miming rather than singing! Yes, the format has been purchased by the BBC who will screen a British version of the show in 2012. (I'm just speculating here, but if it was shown in the spring, could this be linked to Eurovision, with the winner going on to represent the UK in Baku? No? Just wondered). 2012 will also bring versions of the show in France (TF1) and Sweden (TV4). Another country taking up the show is Flemish-speaking Belgium. "The Voice van Vlaanderen" will feature four coaches, who are all established stars in their own country - Alex Callier (of Hooverphonic), Jasper Steverlinck, Natalia Druyts and last but not least, Clouseau lead vocalist Koen Wauters. VTM will screen the series from this autumn and their website is already up and running with news, info and audition videos. I'm hoping that the various versions of the show will produce something different from the norm, although can we please please please have a break from Adele songs, if those audition videos are anything to go by? Although over recent years I've grown very tired of TV talent shows - with the exception of Swedish Idol of course - but I will be following the Flemish, French and Swedish versions of the show and writing about them on this blog. It will soon be time for France's (inter)national day of music. Fête de la Musique is celebrated on 21st June every year with a number of concerts/musical activities inside and outside l'hexagone. 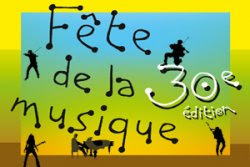 Check out the official site at http://www.fetedelamusique.culture.fr/ for more info. If you live in the UK, you can find TV5 on channel 799 on Sky Digital. Allsång på Skansen 2011: let the battle (of the sexes) begin! You'd have thought that the Swedish media would have nothing to write about, after spending recent years debating about whether Anders Lundin's time as presenter of Allsång was up. 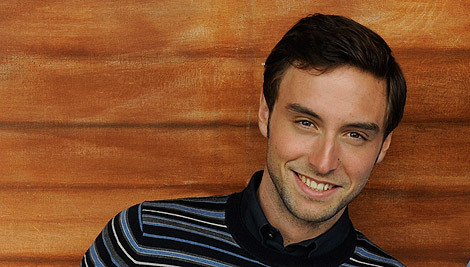 Then Måns Zelmerlöw got the job...end of story. But no. Because the ink had only dried on the guest list and the press were already screaming from the rooftops about the uneven gender balance of this year's performers. "There are twice as many males as females!" they groaned, and rounded up some female singers to support their argument. You won't hear any complaint from me though. In a time when the world's charts and airwaves are dominated by female artists - Lady Gaga, Rihanna, Adele, Beyonce, Jennifer Lopez, Katy Perry etc etc - it's about time someone tipped the balance in favour of the boys. And especially in a country like Sweden which has always had so many great male artists. The Allsång line-up is always a mix of who's got a record out/newcomers/established favourites so why are there so many complaints this year? September and Veronica Maggio are arguably the two most successful female Swedish artists of the moment (apart from Robyn of course) and they're on the bill. Shouldn't the guest list be about quality rather than gender/quantity/quotas? You can make your own mind up by watching this year's series which starts on 28th June. Here is the week-by-week guest list. 28 June: Benny Anderssons Orkester, Lunds Studentsångare, Danny Saucedo, September. 5 July: Håkan Hellström, Miriam Aïda, Siw Malmkvist, Ulrik Munther, The Moniker, Hasse Andersson. 12 July: Elisa’s, Veronica Maggio, Per Andersson, Eric Amarillo, Sara Varga, Kjell Lönnå. 19 July: Bo Kaspers Orkester, Petter, After Shave & Anders Eriksson, Vocalettes, Pernilla Andersson, Malena Ernman, Lena-Maria Klingvall. 26 July: Hoffmaestro, Eric Saade, Caroline Wennergren, Marika Willstedt, Angelica Alm, Carl Norén, Östen med Resten. 2 August: Timbuktu, Patriks Combo, Fredrik Kempe, Svante Thuresson, Hans-Erik Dyvik Husby, Linda Bengtzing, Eva Eastwood. 9 August: Lena Philipsson, Albin Flinkas, Fredrik Meyer, Staffan Percy, Sven-Ingvars. 16 August: Sveriges Radios Symfoniorkester, Anders Berglund, Björn Skifs, Peter Jöback, Loa Falkman. I'm looking forward to the new series which is just over two weeks away and the first show should be a cracker with both Danny and September on the bill. In the great tradition of this blog, I'll be reviewing the show every week of course. In recent years, the show's co-composer Andrew Lloyd Webber has kept a high profile with a number of casting shows which have kept his latest productions in the spotlight. In the meantime, one of his most enduring hit shows has continued to tour the world and has returned to the UK for its latest theatre tour. I refer of course to "Evita" which has been running for over 30 years and still pulls in the crowds. This was certainly true this weekend, as the matinee show played to a very appreciative audience in a packed King's Theatre in Glasgow. This is the second time we've seen this show at the King's which is an absolutely gorgeous and traditional old theatre which is currently in the middle of an ongoing restoration programme. Unfortunately I forgot to buy a programme so had to do some research for my review. Whilst doing this I came across a review site and couldn't believe some of the bad reviews I read about this year's production. Yes certainly there were some minor flaws - the tango singer was too young, and the actor playing Che had a nervy start and didn't always match the narrator role's required sarcasm - but these are only very minor flaws and didn't detract from the show as a whole. 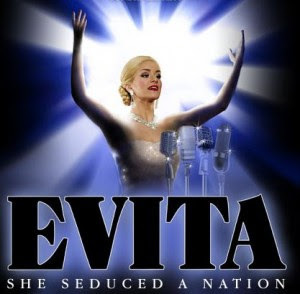 Apart from the political/historical narrative, "Evita" is always relevant and topical due to its main character's portrayal as a fame-hungry wannabe actress who slept her way up the ladder of success and ensured she caught the biggest fish of all - who equally realised that she would be a good asset to his political aspirations ("I'd Be Surprisingly Good For You"). The soundtrack, like the show is fast-moving and timeless - like "Joseph", the whole show is sung rather than spoken, and even thought the rock opera style probably belonged to another era, it still sounds fresh. There were no big casting-show names in this one, but I researched and discovered that they were a group of experienced and established musical theatre performers. Leading lady Abigail Jaye gave a fine and professional performance as Eva Peron, although was a little high-pitched at times. Whilst the first half of the show provides lively numbers such as "Buenos Aires" and ends with the rousing "A New Argentina", the second half starts with Evita on the balcony and the show's most famous song "Don't Cry For Me Argentina". Just like all politicians everywhere, the Perons increasingly fail to deliver on their promises and Eva heads off on a European tour with mixed success. On her return home she tries to win favour with the launch of her own foundation but even this is clearly suspect ("And The Money Kept Rolling In And Out"). Che is the glue who binds the show together and represents the voice of the Argentine people. (Of course, as with every performance of Evita, Che always gets the biggest cheer at the end). Eventually Eva becomes ill and the latter part of the show packs an emotional punch culminating in Eva's death. Unfortunately, the end of the show has everyone leaving the theatre feeling rather heavy-hearted and emotionally drained from the latter part of the show. Maybe it's totally inappropriate for such a dark ending but dare I suggest that the show could benefit from a discofied megamix, Joseph-style to lift us all up again. A hi-energy Don't Cry For Me Argentina? On This Night Of A Thousand Stars set to a Europop beat? No? OK then. Purists may sneer at Tim Rice and Andrew Lloyd Webber making a song and dance out of Argentinian political history, but you can't argue with their always successful recipe of a true story mixed with good, memorable songs which ensure that this show's success will endure for many years to come. I'm sure that many of those in the audience yesterday afternoon will come back again for more next time round - we certainly will. Så Mycket Bättre series 2 gets underway! 7 artists from different musical genres and generations have all gathered on Gotland to begin recording season 2 of one of Swedish TV's most successful TV formats of recent years - Så Mycket Bättre. Or at least 6 of them did, but one was missing. 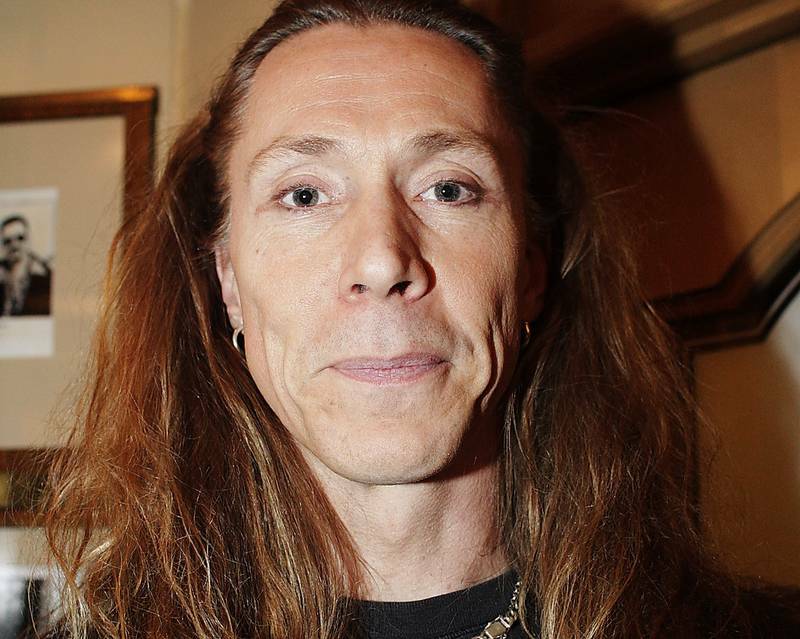 Legendary dance act E-Type was far far away, in the North of Sweden, playing a gig so he missed the start of recording. I was really hoping for Bjorn Skifs and Salem Al Fakir this year, so I'm a bit disappointed by the line-up. It will all be about Lena Philipsson and Tomas Ledin for me, as they are two of my most favourite Swedish artists of all time. I guess it's an interesting mix of artists, however I doubt if anyone will have the 'September-effect' this year. Although E-Type could surprise us all. The best thing about this show is that there are no panels, no phone-in voting, no eliminations - just a group of singers getting together, having fun and singing each other's songs. The only potential problem is that this year, people are maybe a little more 'knowing' about the potential career effects of the show and it may lose a little of what made it so great in the first place, Or as I like to call it, the "Big Brother Effect". We'll find out later this year when series 2 is screened on TV4. It's a simple and fascinating TV format which I think could work in any country. Does anyone know if the format has been sold by TV4 anywhere else yet? Above: Lena Philipsson arrives at Pensionat Grå Gåsen in her sports car. Timoteij are back and they're "Het"! Anyway the girls are back with their new single "Het", a song for a nice long hot Swedish summer. Thankfully they haven't strayed too far from their musical roots and even throw in a few schlager 'a-ha's along the way. Tomas = king of the castle! 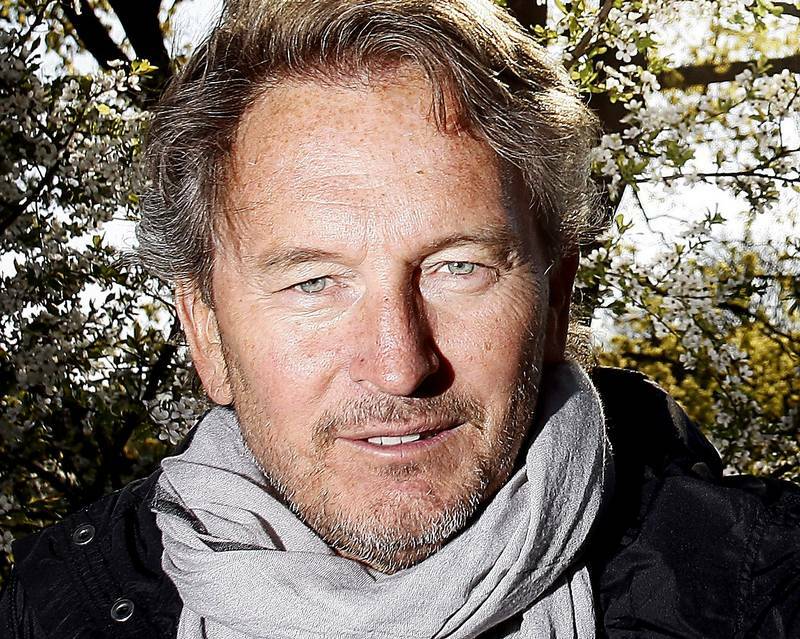 Aftonbladet/Allt om Stockholm reports that Swedish superstar and all-round musical genius of the past 40 years, Tomas Ledin, has bought a castle! 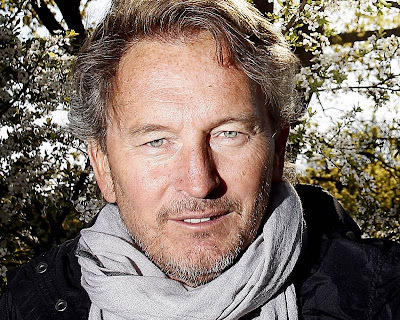 Yes, the 59 year old legendary singer/songwriter - who has been one of my most favourite Swedish musicians of all time - has bought Hesselby Slott (Hesselby Castle) in Stockholm City, together with Torbjörn Blomqvist, for the total price of 50 million kronor. Now Tomas promises to keep it going as a music venue - he'll offer guitar lessons when available, and organise outdoor concerts in the Castle Park which is estimated to hold between 6,000 and 8,000 people. It's going to be an exciting few months ahead for Tomas: not only will he be appearing in season two of Så Mycket Bättre, but he's also performing a season at Rondo, Liseberg - kicking off on 22 September and running till December 2011. More info at www.ticnet.se.